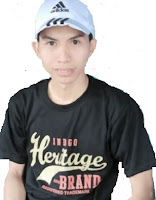 Some time ago, i have create an article about how to installing a custom ROM. It's the CyanogenMod 11, android version 4.4.4 kitkat. The Keyboard are still not customize yet. so that, it is still using standard AOSP. If you are feel bored with it and miss The Nokia keyboard which is previously used on stock ROM. Right now, i will share to you ! 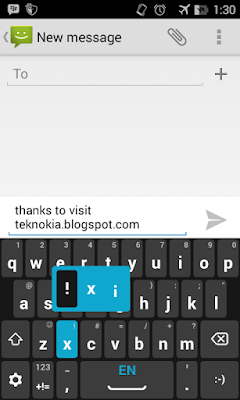 Nokia has been customize the keyboard especially on Nokia X platform. The size of a letter's box is more width. Therefore it is more comfortable when we are typing. You can download and install the Apk file here. do not forget to tick on unknown sources installaton pack ! go to setting - security - allow installation of apps form unknow sources. After installation the Nokia's keyboard apk file. we must change the default keyboard to Nokia's keyboard. Go to Setting - Languange & Input - Keyboard and input Methods tap at default and choose Nokia. Auto Spacing is automatically get spacing when the word or phrase prediction choosing. You can use your finger to draw letters and words and the Nokia keyboardwill turn it into text. You can draw letters from left to right or on top of each other. Press the ABC/123 to toggle between letter and symbol mode.